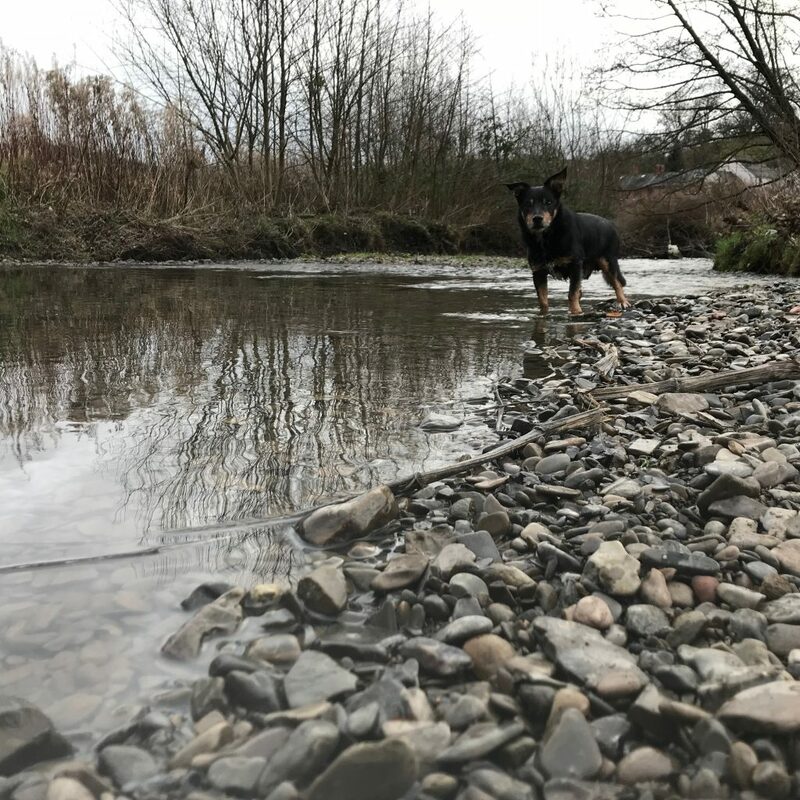 Gravel shores provide safe access for people and animals. Shallow waters that gradually deepen are great for play and are perfect for young fry! The rise and fall of the river Cain is constantly changing the landscape, in many ways and on many levels. 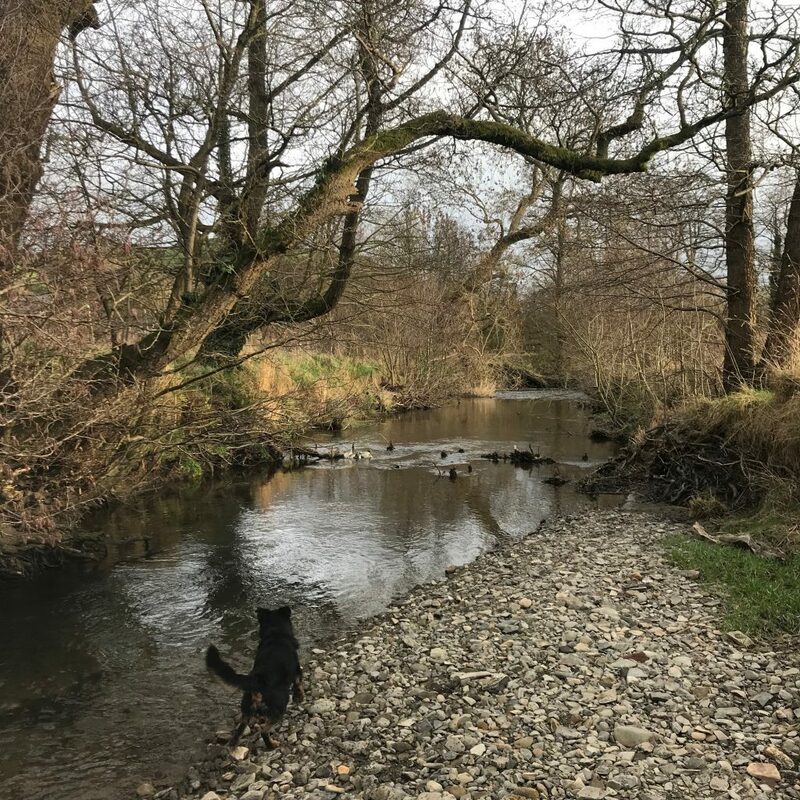 Sometimes when we visit the river, parts of it are completely unreachable and at other times new places become open to us to explore and discover. Much to Benson’s delight! Change is the one constant we can rely on. When visiting the river – no two days will be the same. This constant flux is the beauty and opportunity that comes with living along a river and it’s floodplain landscape. Change in whatever form it comes is inevitable. It can be frightening and challenging. In permaculture we say ‘The problem is the solution’. This enables us to be able to see these challenges as opportunities. Principle 12 invites us to embrace and accept change and to see the opportunities it brings. It encourages us to envisage the possibilities and to act in a effective way. 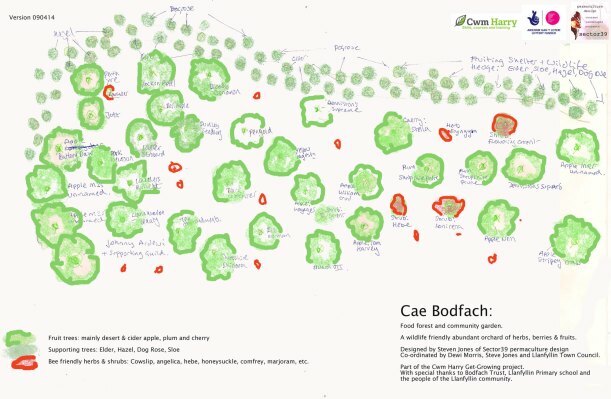 A simple example of this from Cae Bodfach is how and where we decided to plant the orchard due to the existing conditions and potential flooding of the river Cain. We understood the field was a boggy flood plain which is not ideal ground but we worked with the challenges we had and found the opportunities that were open to us. Firstly, we surveyed the field. Through this survey, we identified the highest ground – this is where we would plant our orchard to give it the best chance of survival. We then arranged the orchard to capture enough warmth and light to help the trees grow most efficiently. We reinforced this by planting cheaper support trees (in the form of a sacrificial shelter belt) to create microclimate and protect the fruiting trees from the cold north weather. 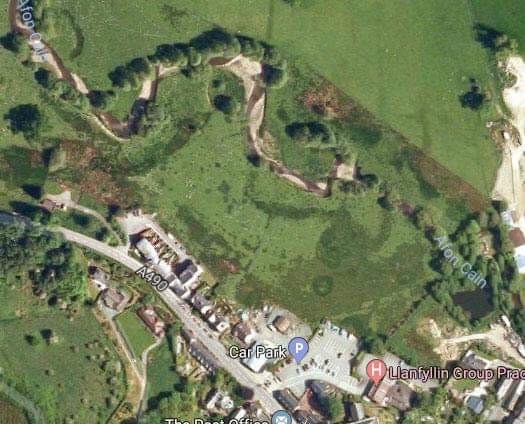 Having anticipated how the water would flow across the land when the river the inevitably flooded, the sacrificial shelter belt would also diffuse the flow of the water and any debris it was carrying, with the hope of protecting the heritage orchard trees. Map of the Heritage orchard fruiting trees and the native shelter belt. 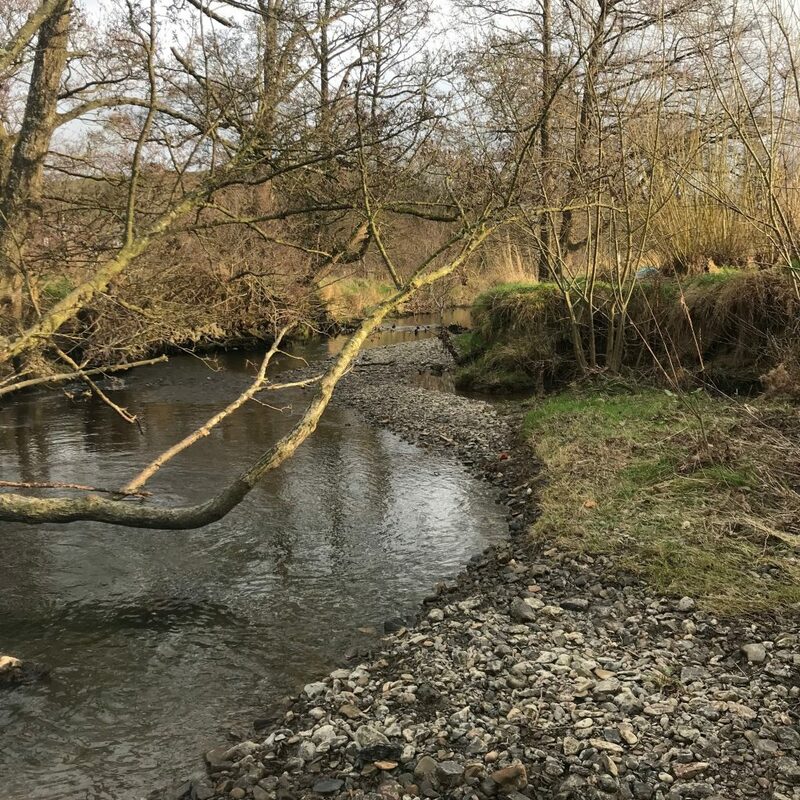 We know the landscape will change, but until the river floods.. we can’t know for sure how the design will cope, but by working within the limiting factors we can use appropriate design to mitigate adversity and to discover and create new opportunities. Understanding our environment and knowing that things will change helps us to plan ahead, it also enables us to use change in creative and beneficial ways, to learn to be flexible and to creatively respond to outcomes we had not anticipated.